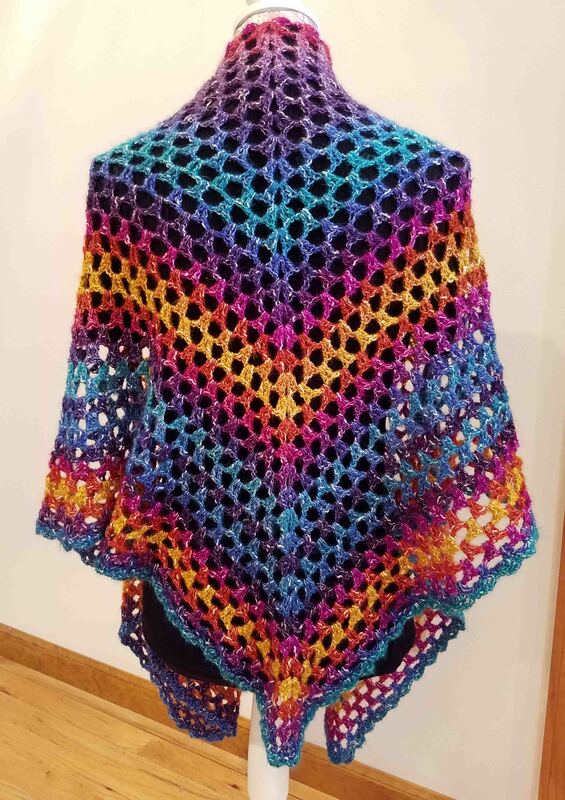 As part of my continuing celebration of National Crochet Month I am sharing a pattern for my newest shawl design the 2×2 Shawl. I wanted to create a top down shawl in a simple stitch pattern that is relaxing and meditative to crochet. It is a perfect project to work on when crocheting with friends. 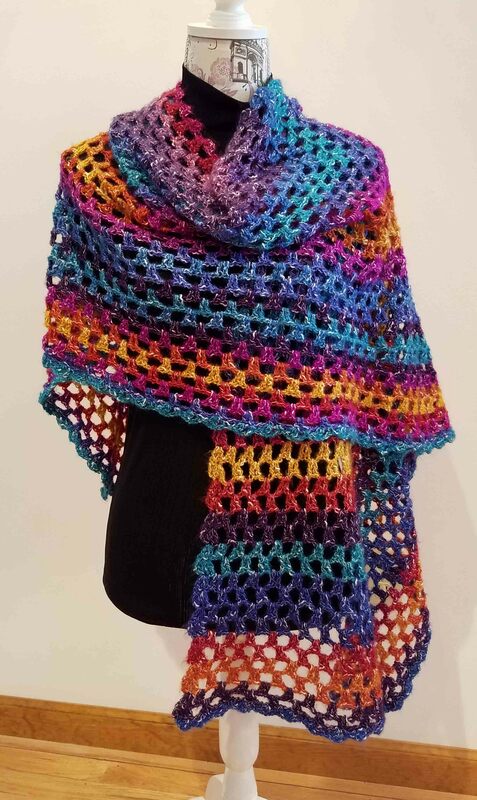 The simple stitch pattern really lets the vibrant color changes of Lion Brand Yarns “Shawl in a Ball” shine. Watching how the colors will come together is half the entertainment. I wanted a big snuggly shawl that would really provide some coverage so I used 2 balls of this yarn. 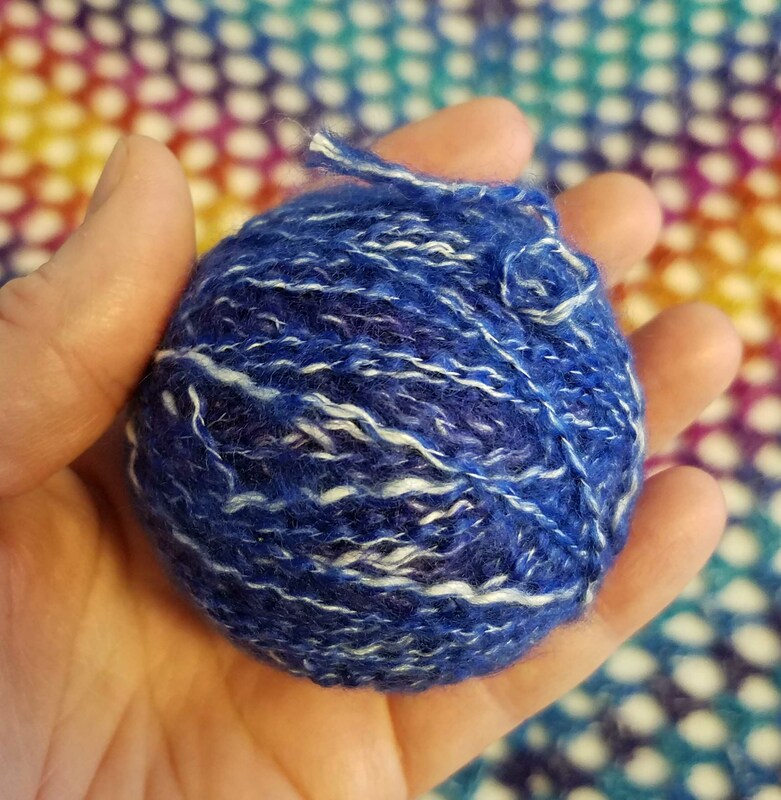 I had only 22 g/70 yds of yarn left from the second ball. 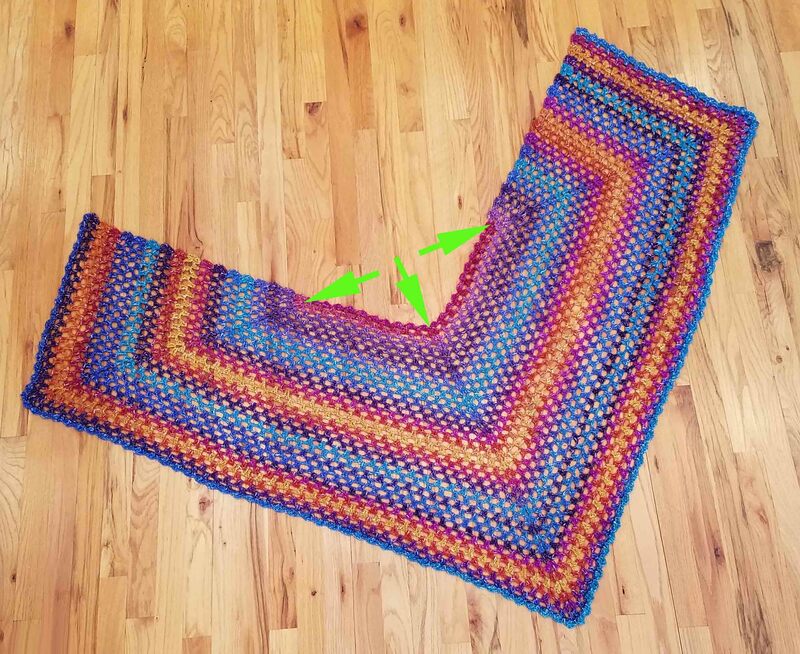 My favorite thing about a top-down shawl is that you can stop wherever you want, depending on the size shawl you want and the amount of yarn you have. Shawl is worked top-down with 3 increase points from a stacked rows foundation. If you wish to make a smaller shawl work the instructions for the body of the Shawl for fewer rows being sure to stop with a repeat of Row 4, then working the edging row (Row 35) to finish. Row 1: Ch 2, sc in second ch from hook. Row 2: Ch 3, turn, 2 dc in sc. Row 3: Ch 1, turn, sc in first dc. Rows 4 – 41: Alternate repeating Rows 2 and 3 (ending with a Row 3). The marked ch-2 spaces will be the increase points for the rest of the body of the shawl. Rows 6 – 34: Alternate repeating Row 4 and Row 5 ending with a Row 4. Weave in tails and block. Ooh la la this is beautiful – I’m a lefty but hopefully I can do this albeit in 3 months time. I’ve had surgery done to my right wrist and am in plaster for 12 weeks…. so patience a lot of patience is needed…I can’t wait to start though. Thank you for the pattern..
Glad you like it Esttella. Hope you heal up well from your surgery so you can get back to crocheting. Is there by chance a video tutorial for this beautiful patterm? Not at this time, though I hope to do one eventually. I will also be offering this pattern in a PDF form with photo tutorials and stitch charts in Autumn 2018.